Your Gift is Ready for You! 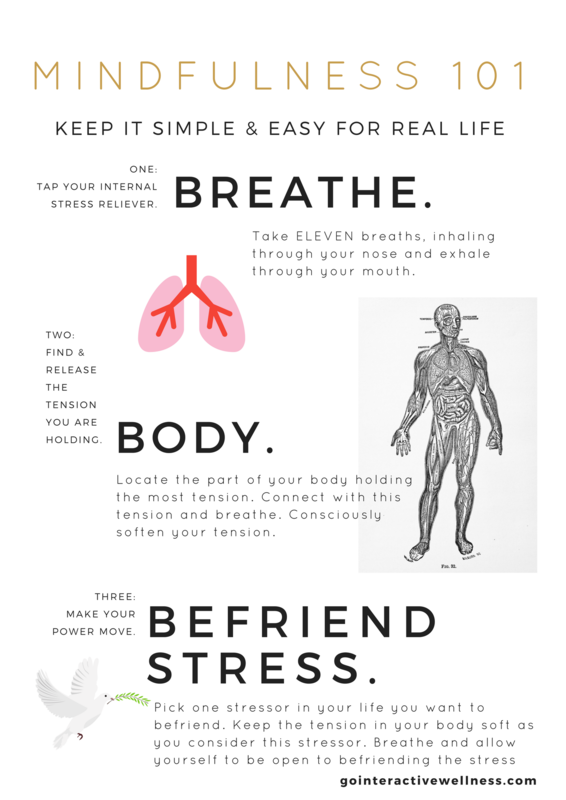 Practice the Three Tips of Breathe, Body, and Befriend with this guided experience. Follow the steps below to maximize your experience and get the most out of the tool provided. Follow the video below to complete a practice using the three mindful techniques you learned- Breathe, Body, and Befriend. Helpful Tip: Download the video so you can access it anytime when you want to practice this simple, yet effective, mindfulness practice and start to gain control over your stress.